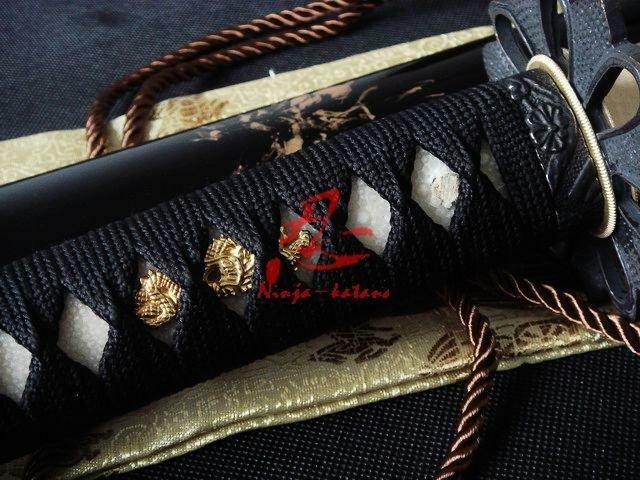 -Sageo: made of black silk. 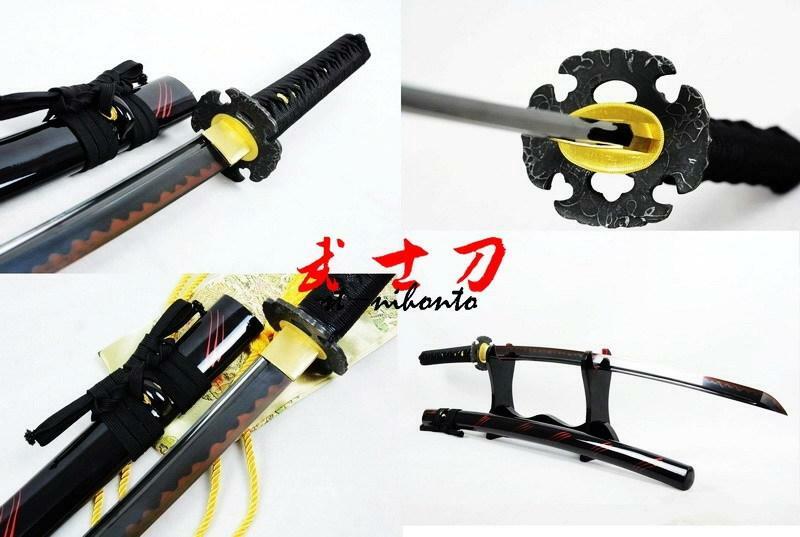 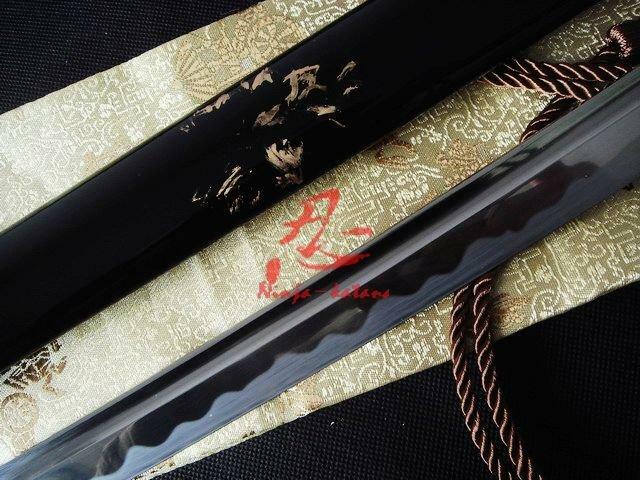 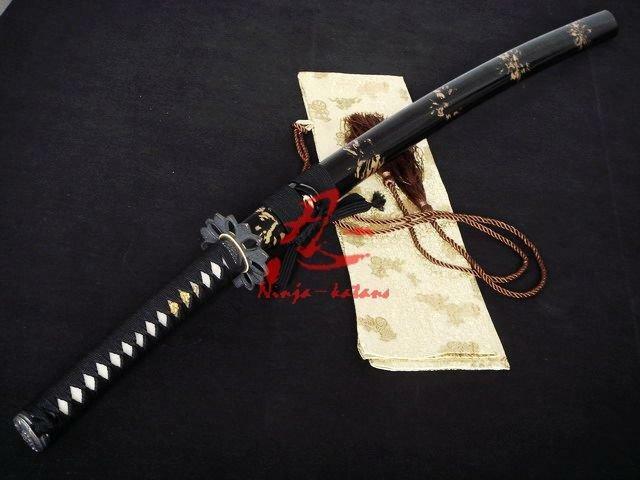 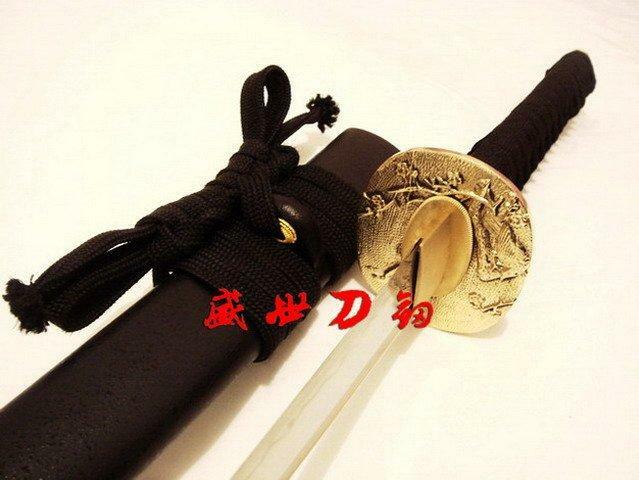 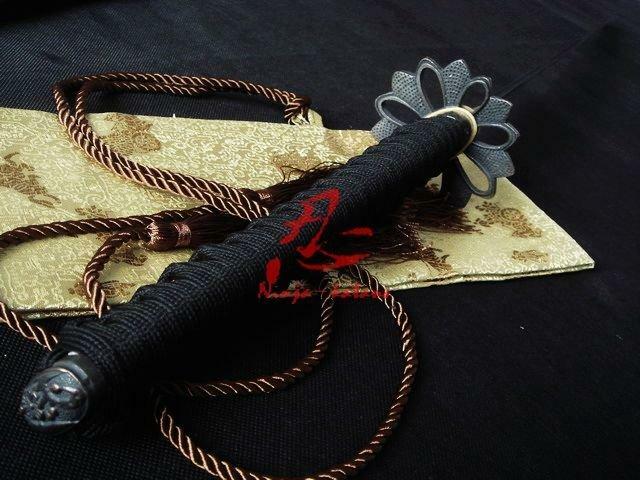 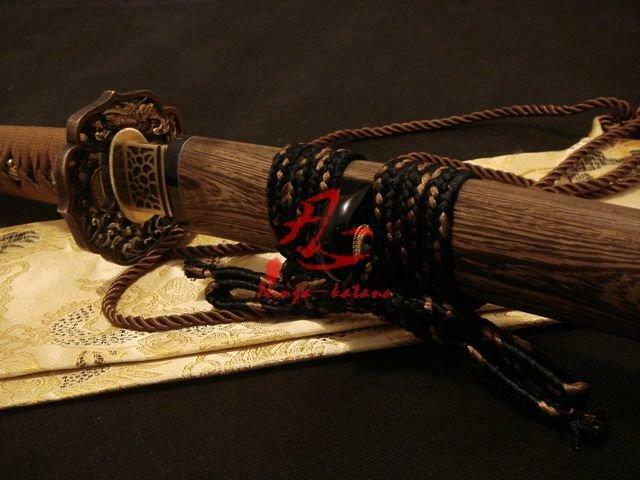 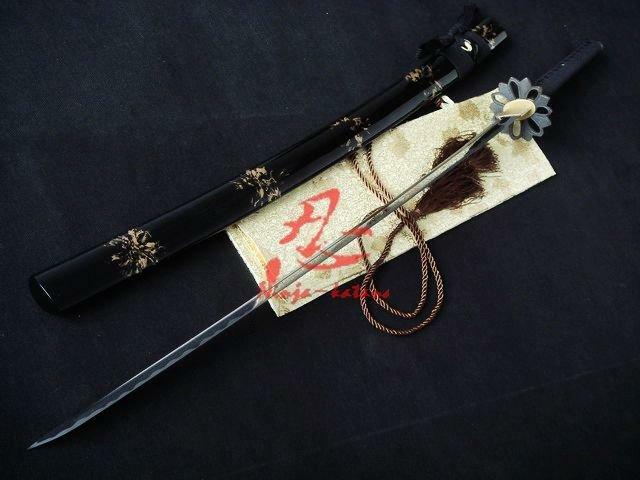 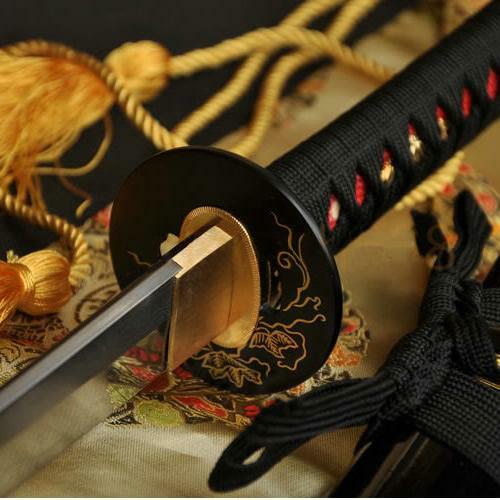 -Saya (Scabbard): the sheath of the sword is make of hard wooden with black/golden lacquered be sheeny. 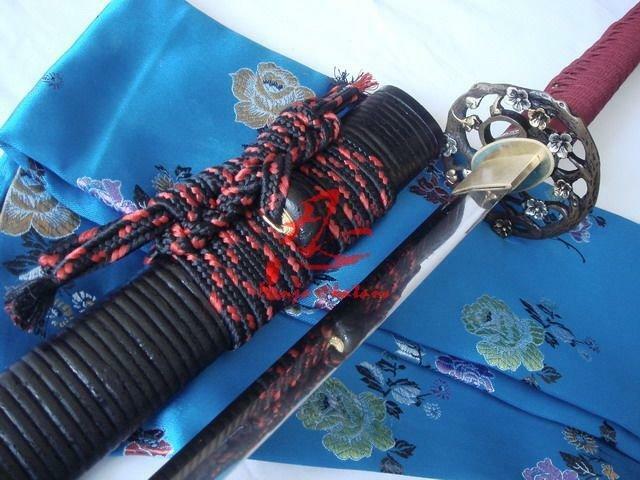 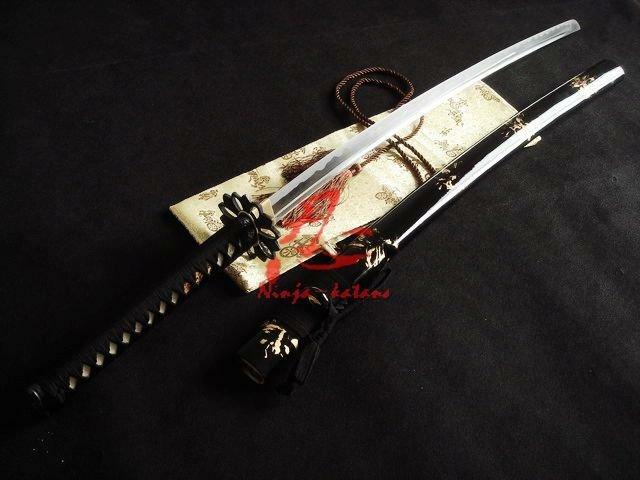 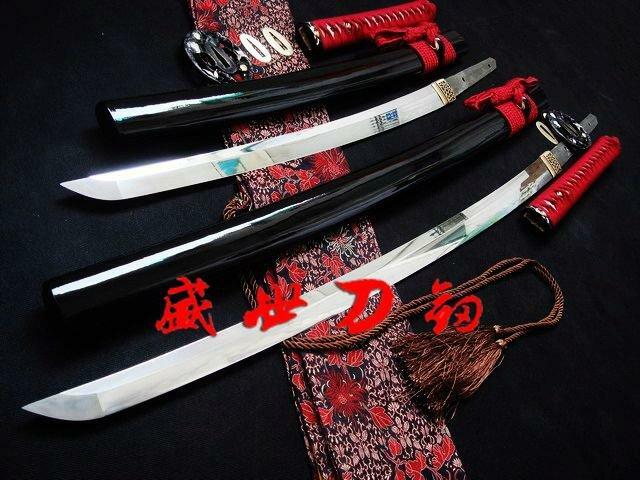 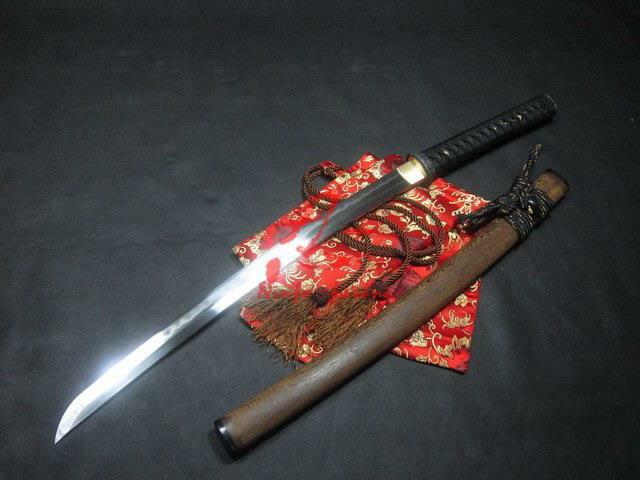 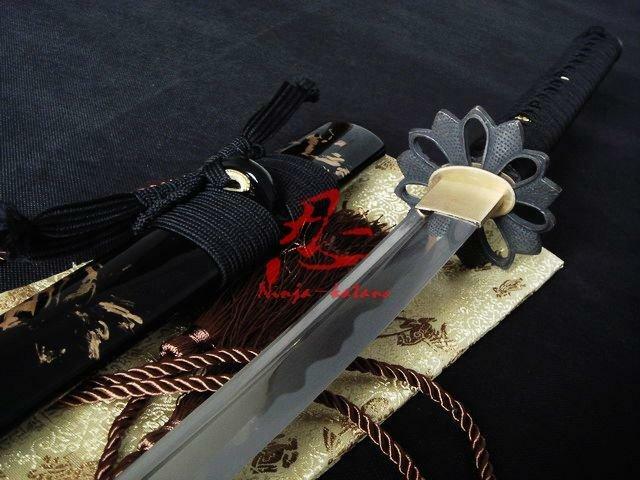 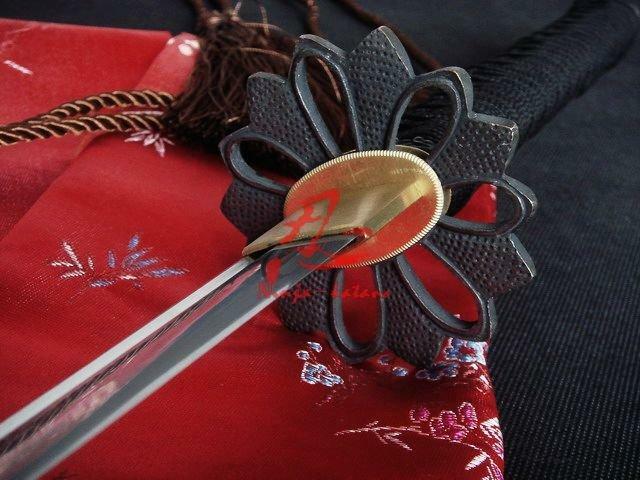 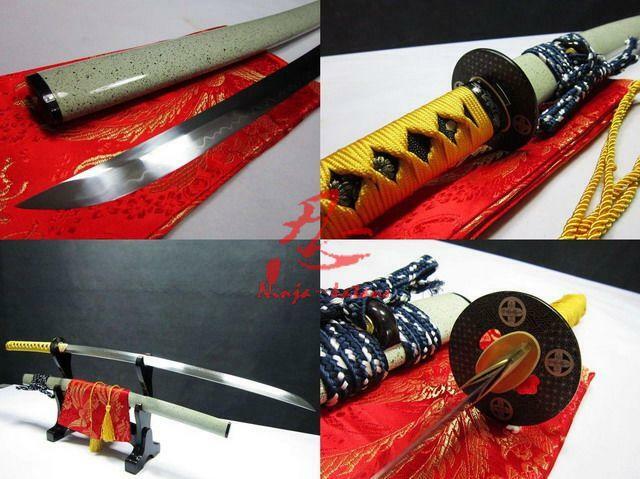 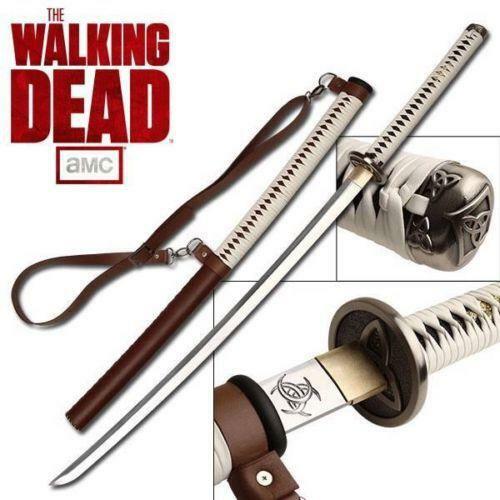 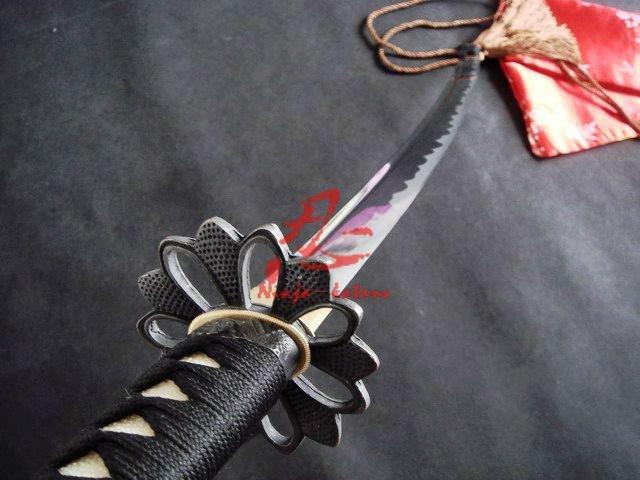 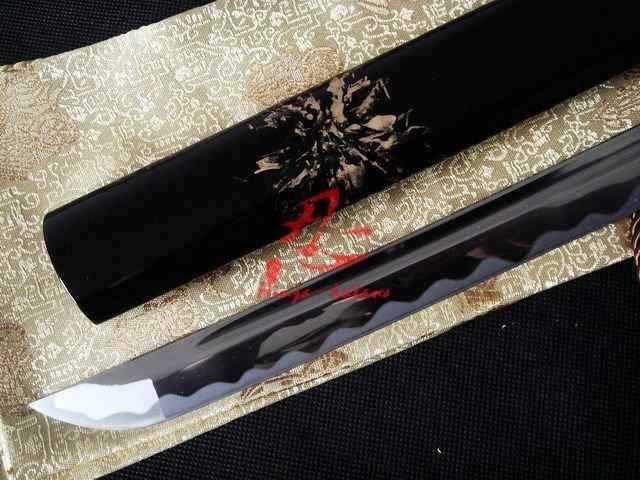 silk sageo also rolled both side of kurikata to match sword\'s tsuka-ito.